thinking of what to entertain your guests? Planning a wedding gets pretty meticulous. You have to cover the floral arrangements, venue, music, food, and more. Stop the tears! Happy Cow Photo Booths is ready to handle the entertainment part for you so that it won't be additional stress on your hands. Our team is prepared for your one and unforgettable night - giving you only the option to dance away and mingle with your friends in our booth. It also gives the guests a memento to treasure this night, bringing home a copy with the best #boothselfie. You'll be given the links and password to our private digital gallery after your wedding. Uploaded pictures of the original copies and prints included! Guests can also login to retrieve their pictures if they forget to grab a copy for themselves. 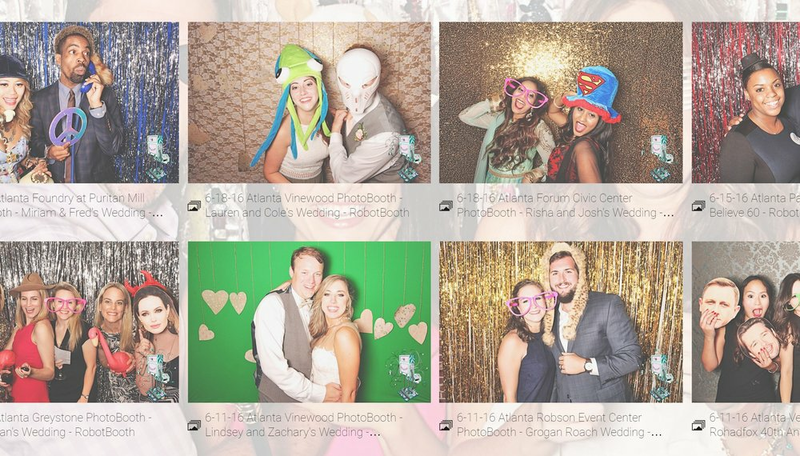 With our social media uploading option, your guests can now post up their pictures and hashtag #YourWedding. What better way to look back on your fantabulous night with digital images straight to your feed? You're having a Star Wars theme? Maybe a splash of marbled blue & gold for your wedding? We got your back with that. We'll make sure our screens mirror the theme you're having by customizing your names, colors, fonts, and more! Let the guests be the author for capturing how your wedding night went down! It also allows a spark of creativity for them to leave you a note on why they love you so much. Everyone wins. This would be ideal for those that are seeking a bare minimum and budget friendly photo booth deal. Best for those who are thinking of throwing a backyard reception party or for a small wedding with under 100 guests. Our best seller and deal-worthy package! Ideal for those who are having a wedding under 200 guests & want to sizzle through the night after the dinner napkins are folded away. Ultimate package combo for those who are having a long reception party with guests and have their uncles, colleagues, and best friends talking about the photos long after the wedding is over.